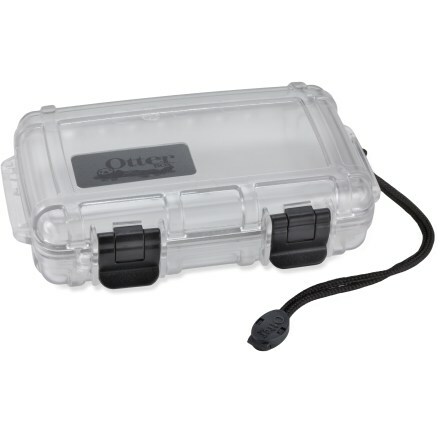 The Otter Box is a low-cost investment that protects high-cost electronic devices and other important items that need to stay dry. 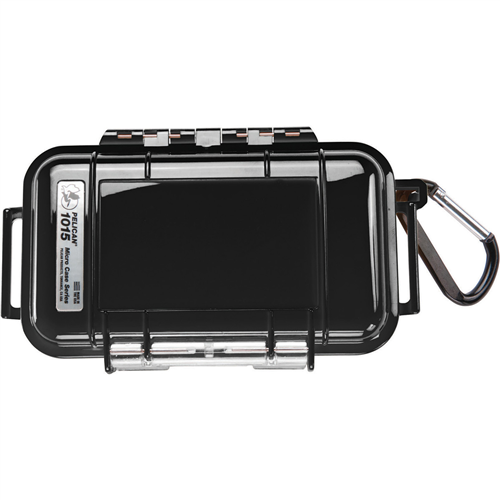 This reviewer's first-hand account speaks to the value of owning and using the Otter Box 1000 in the outdoors. 5 STARS for durability and reliability. 3 STARS for recent business decisions (see final section of this review). 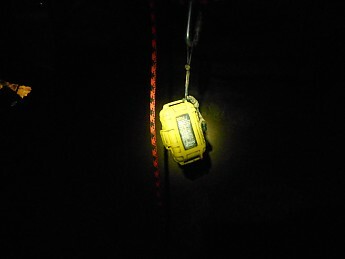 I had just spent several minutes carefully climbing a 50' high pile of breakdown in a Tennessee cave. At the top of the heap, I opened my pack to get a drink of water, and the Otter Box holding my digital camera fell out. Down and down it fell into the darkness of the cave. I could do nothing but listen to the Clunk, Clunk, Clunk of it bouncing down the pile. ...And I was wrong. On both counts. 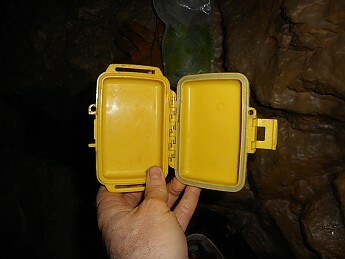 Here is what the outside of an Otter Box looks like when it is drug through a cave. I own three Otter Boxes in various sizes. All have proven their durability and worth to me. The 1000 is the smallest one I own. 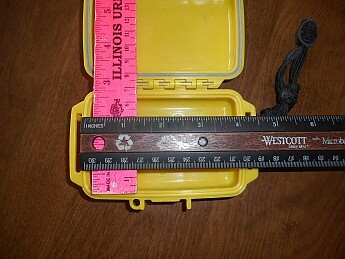 It measures 4.84 x 3.68 x 1.65 inches, externally; 3.7 x 2.35 by 1 inches, internally. 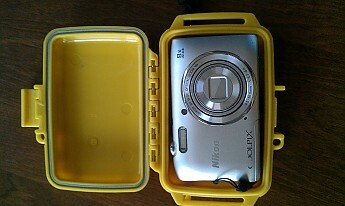 This is the perfect size for my point-and-shoot digital camera, a Nikon Coolpix (I would recommend that when buying any Otter Box you bring your item with you to get the perfect fit.). My three Otter Boxes. I've owned the biggest one for 11 years. 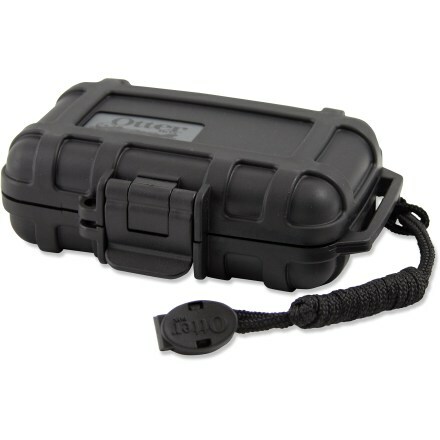 Otter Box advertises the 1000 is made from “indestructible” polycarbonate that makes it waterproof and crushproof. 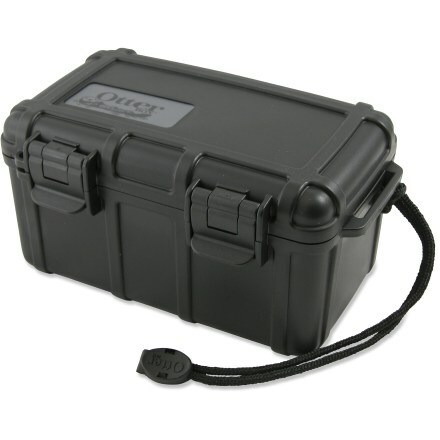 Stainless steel hinges ensure the box doesn't succumb to rust. 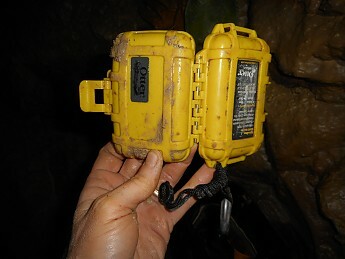 The 1000 is waterproof to 100'. However, the box is designed to float. So when it falls over the side of your canoe (or into that pool of water at the bottom of the cliff), you can easily retrieve it. It is important to note that the O-ring needs to be occasionally treated with silicone gel to prevent it from drying out and cracking. It is equally important to note that you should never use Vaseline or other petroleum-based product to treat O-rings, as petroleum breaks down rubber. Another nice feature includes an adjustable lanyard. When Otter Box first got into business, people knew anything stamped “Made in China” was a phoney knock off. Unfortunately since Otter Box began producing cell phone cases, they began doing most of there production in China and Mexico. Today, the only way to know if you have a true Otter Box is to buy it from an authorized vendor. I would be wary of any unusually good deals found online. Also, it use to be that Otter Box's claim of indestructibility came with a lifetime warranty. When they moved into the cell phone case business their warranty on all their products was reduced to one year. I don't know if this is because they have cheapened their components or because of the difference in cell phone cases. 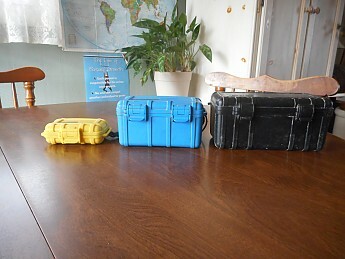 In contrast, their top competitor, Pelican Box, is still made in the USA and still promises a lifetime warranty. I can only review what I own, but my next box purchase will have me seriously looking at who is standing by their work. Thanks for the review and illustrative pics, Goose. I was just looking at cell phone cases, including Otter Box the other day. Thanks for the warning of what to look out for. I can't comment on the cell phone cases, but I believe they would be high quality. I just hate seeing jobs outsourced and warranties diminished. 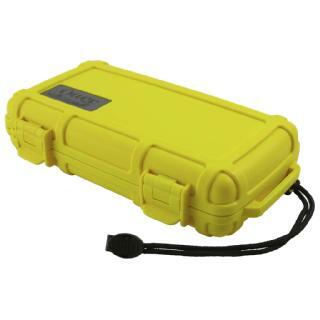 I don't know if Pelican Box even makes cell phone cases. I had an Otter Box for a Samsung Galaxy SII a couple of years back, my phone broke twice in it, and when I called Otter Box they said they would replace the Box but their insurance didn't cover what the consumer decided to put in the Box. I felt that defeated the purpose of the item itself. My office has supplied Otter Boxes for our work phones (Iphones) and haven't had any issues with it. Just though I'd share since phone cases came up. G00SE I have heard Pelican boxes are really good. I have never had one but, I have some friends who use them for video cameras and other electronics when traveling and they have never said a bad thing about them! Thanks for this review Goose. My girlfriend owns an Otterbox cell phone case we got at a Verizon store when she got her new phone. It's performed flawlessly after she's dropped her phone about 3 times. I got one from Ebay, and still don't know if it's genuine or not. The only difference I've seen in mine and one you can get from an "authorized" vendor is a small barcode sticker inside the back portion of the case in the one from the vendor. I do know I've dropped my phone once and it was fine. I can't imagine a protective box from them would be any different. Nice review, G00SE! It looks like you really need Otterboxes! My phone was in an Otterbox this summer and it fell off the roof of my car and got run over twice and the phone came out completely unharmed. The Otterbox didn't survive, but at least the phone made it! 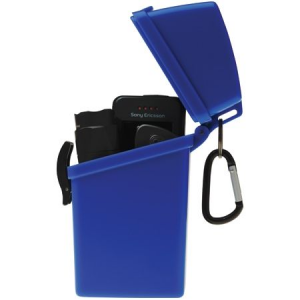 - Just perfect size for my small phone, small and compact. - Unpadded, really not that big of an issue to carry another sunglasses sock to put phone into for vibration and chaffing protection inside the case. Or use on of the closed cell cushioned sleeves that sometimes new purchase electronics come in. Yes, I do recommend and would buy again, from REI. 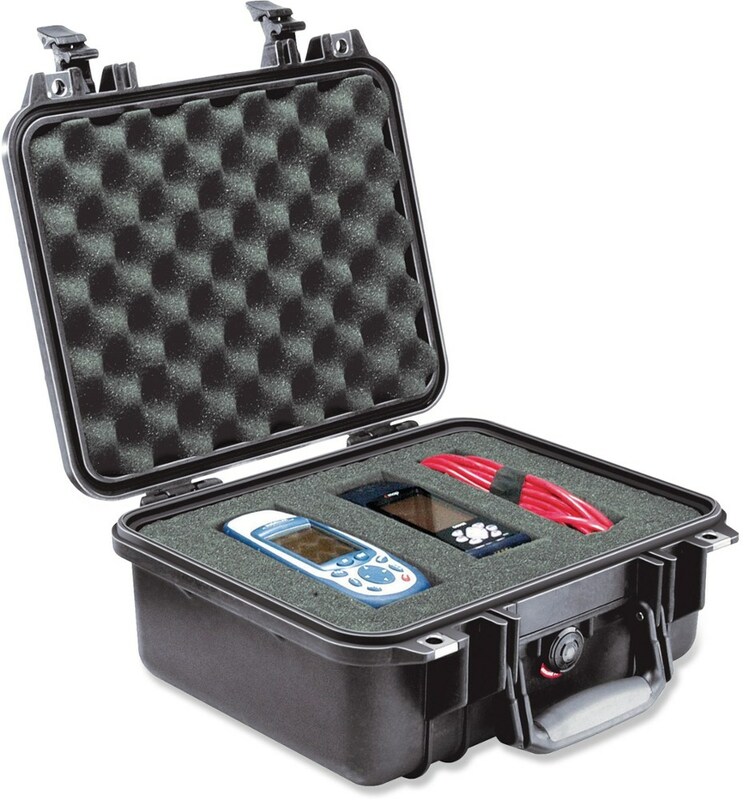 The OtterBox 1000 is not available from the stores we monitor. It was last seen April 30, 2013	at Altrec Outdoors.